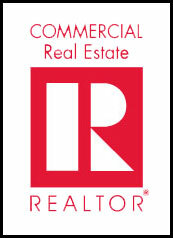 Why Use a Commerical Realtor®? Whether buying, selling, leasing, sourcing tenants or investing in Commercial Real Estate, a Commercial REALTOR® is a business partner with the training, market knowledge and experience that you want on your team. From the sale of a business, farm or ranch to syndication and investment to financing and consulting to providing information on environmental studies and tenant inducements, commercial REALTORS® are authorities on commercial real estate. Whether you’re looking for an investment or a home for your company, use the resources here to discover the value of services a commercial REALTOR® provides! All data is deemed reliable but is not guaranteed accurate by Sara Sibson. See Terms of Service for additional restrictions. All material presented herein is intended for information purposes only. While, this information is believed to be correct, it is represented subject to errors, omissions, changes or withdrawal without notice. All property information, including, but not limited to square footage and office count in property listings are deemed reliable, but should be verified by your own attorney, architect or zoning expert.